Consortium of Medical Engineering and Dental Colleges of Karnataka (COMED K) conducts a state-level examination called COMEDK UGET (Undergraduate Entrance Test) to offer admissions to interested candidates in engineering and medical degree courses offered by colleges/institutes that are affiliated to COMEDK. COMEDK UGET 2018 exam will be conducted on May 13, 2018, across many cities in India for admissions to various UG programmes. COMEDK UGET scores are accepted by more than 150 engineering colleges, 12 medical colleges and 25 dental colleges in the state of Karnataka. COMEDK UGET 2017 was held on May 14. 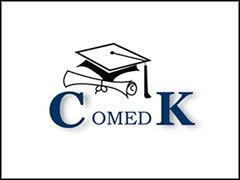 The duration of BE course through COMEDK UGET is four years and that of MBBS course is four and a half years. On the other hand, the duration of BArch and BDS course is five years and four years respectively. The General Merit candidates should have passed with a minimum aggregate of 45% marks (40% in respect of SC, ST and OBC candidates of Karnataka State in Physics, Chemistry and Mathematics) and should have passed these subjects individually. Physics and Mathematics are compulsory subjects along with Chemistry or Bio-Technology or Biology or any other technical vocational courses as one of the optional subjects. However, changes, if any, in the eligibility criteria by the AICTE will be adopted.